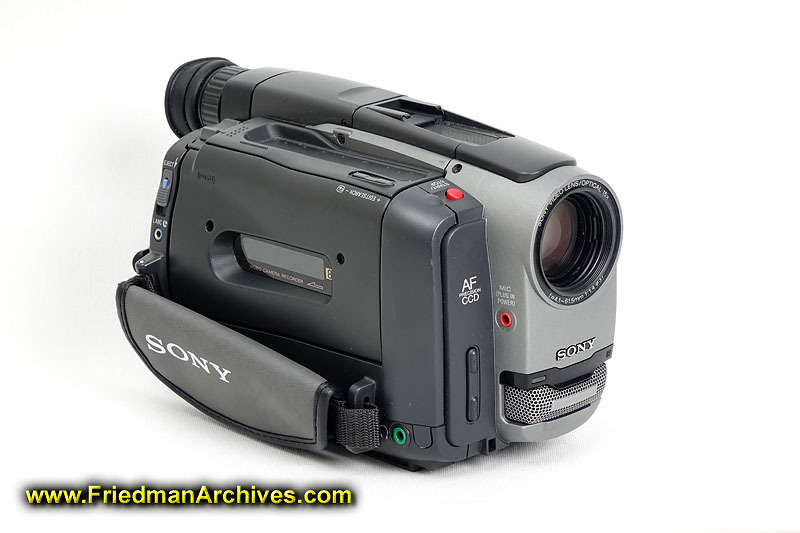 One of Sony's earlier analog handicams, which recorded on 8mm magnetic tape, had 3 CCDs and used both a flip-out LCD and an eyepiece. It was a novel design at the time! See also here. There are many, many more images in this site than can be browsed.